Fine art portraiture captured in a natural way, and personalised to you and your unique story. Vivera Studio is an award winning fine art photography studio based in Melbourne. We specialise in newborn, maternity, baby, kids and family portraiture as well as branding portraiture and headshots. We offer each of our clients a personalised experience and pride ourselves on outstanding customer service. Our clients appreciate the warm and friendly customer service which is reflected in the many glowing reviews. 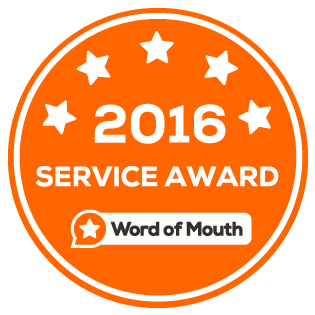 Vivera Studio is also one of very few businesses that has received the Word Of Mouth (WOMO) service award for the last three consecutive years. We took our baby son Charlie to have some newborn photos taken at Vivera Studio. Richard and Jiinni were both extremely helpful and professional when handling Charlie and most importantly the photos look great. The family portrait Richard took was by far one of the best photos we have taken as a family, we have since received so many compliments. As for the final product it was beautifully presented and wrapped. We are extremely pleased with everything Richard has done for us and would definitely recommend his service to our family and friends. We offer the following portraiture services. Select the service you are interested in to learn more about it. You may also wish to consult our FAQ page for commonly asked questions and responses to them. The fee is payable when making a booking. It is non-refundable, but a credit will be given towards another session if adequate notice is provided in the event the session needs to be rescheduled. I'm Richard, the founder of Vivera Studio. Together with my wife, we are the creative duo behind Vivera Studio. Our photography is all about capturing your life naturally and truthfully. Vivera is a latin word formed from the words Vive and Vera which means true to life. Everyone has a unique life and story to be told and remembered through images and it is our privilege to tell your story.